Playing in tournaments is the aim of many people who learn tennis, not all, but as a coach, I believe they are an excellent way to practice, learn more and meet other tennis crazy people. The ATL tournaments are no exception. 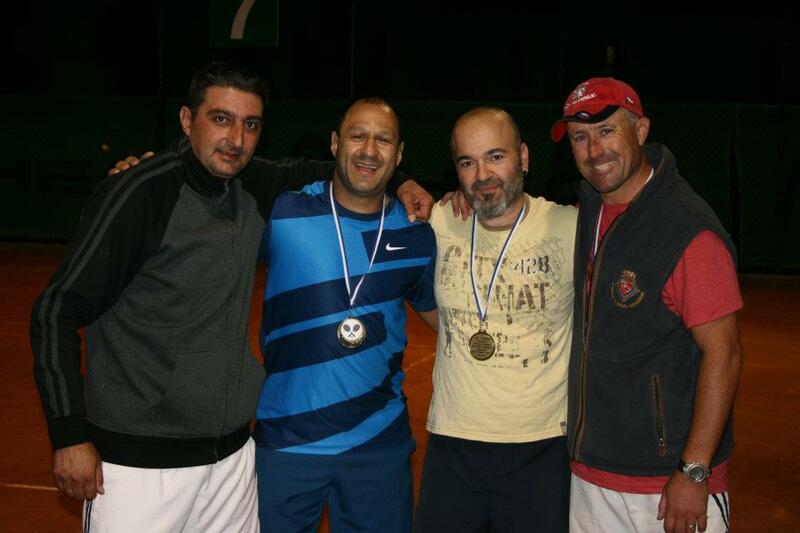 The ATL (Amateur Tennis League) 500 Limassol finals took place this Saturday 5th November 2011 at Aphrodite Hills. The winner of the singles was Dimitris Giorgiou from Nicosia in straight sets with a scoreline of 6-4 6-0. In the doubles, Yiannos Trillides and Menelaos Theodoulou were victorious edging paste in the ties breaker to take it at 6-3 3-6 7-6 (8-5). In his first ATL tournament, Loukas Stylianou pushed Dimitirs hard in the first set of the singles, but an injury at the end of the set put paid to his chances. He carried on fighting through to the end, but it was Dimitris’ day. His aggressive, attacking style won through. In the doubles, Loukas Toumazis and Colin Relton fought back from a set down and took it to a tie breaker in the third set, where the advantage swung back and forth. Eventually Yiannos and Menelaos toughed it out and won. Started in 2011, the ATL (www.atlcyprus.com) has been growing rapidly in popularity. It provides amateur tennis players throughout Cyprus with the opportunity to pitch their skill against other players competitively, earning points towards their ranking as they progress. There are a variety of tournaments taking place each aimed at different tennis playing abilities, enabling someone playing their first ever match through to semi-professionals to take part. Players can register now for the next tournaments on the website at http://www.atlcyprus.com. 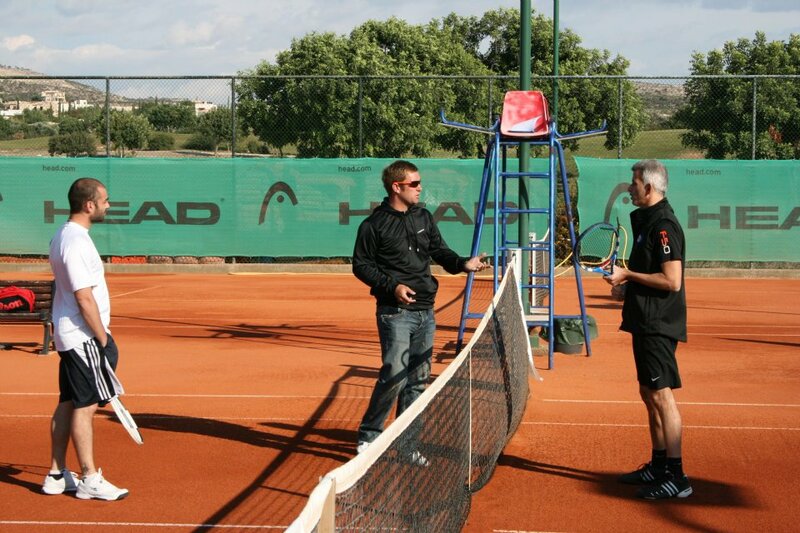 This entry was posted in News and tagged Aphrodite Hills, Baghdatis, Cyprus, Cyprus Tennis, Cyprus Tennis Coach, Cyprus Tennis Federation, Learning Tennis, Play Tennis in Cyprus, Tennis, Tennis Academies in Cyprus, Tennis Academy, Tennis Centre, Tennis Club, Tennis Clubs in Cyprus, Tennis Clubs in Limassol, Tennis Clubs in Paphos, Tennis Coaching, Tennis Courses, Tennis Equipment, Tennis Holiday, Tennis in Cyprus, Tennis in Limassol, Tennis in Pafos, Tennis in Paphos, Tennis Lessons Cyprus, Tennis Lessons in Cyprus, Tennis School, Tennis Tournaments in Cyprus, Womens Tennis by Paphos Tennis Coach. Bookmark the permalink.